Yesterday, my friend Dana sent me a link to this story from The New York Times. She wrote simply: “Boy, does this story deliver.” The headline piqued my interest already—“Australians Declare Existential Crisis Over Onion Placement”—and Dana is correct, the rest of the article does not disappoint. This is a story, you see, about a chain of Australian hardware stores that sell hot dogs, and its decision to alter the toppings of said hot dogs. Go read the full piece, because we’ve established that it’s delightful, but know this: No less a dignitary than the Prime Minister of Australia has weighed in on the issue of hot dog toppings. Australians are very proud of their “sausage sizzle” heritage. This hardware store, Bunnings Warehouse, serves very popular hot dogs (à la Home Depot’s “Depot dogs” cult following). 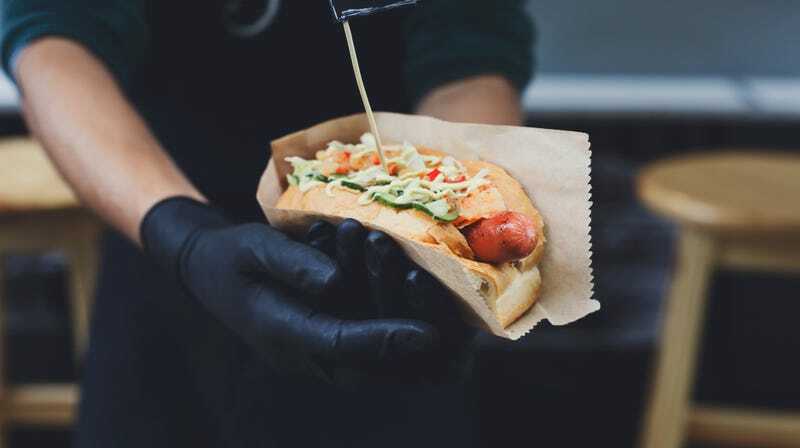 Bunnings recently instructed the store to move the grilled onion topping to the bottom of the hot dog, between it and the bun base, to avoid the onions falling on the floor and tripping people. There is a man quoted in The New York Times who owns a business called Massive Wieners. Please go read this story immediately.